Spring is in the air, which means it’s the ideal time to clean and organize your house. 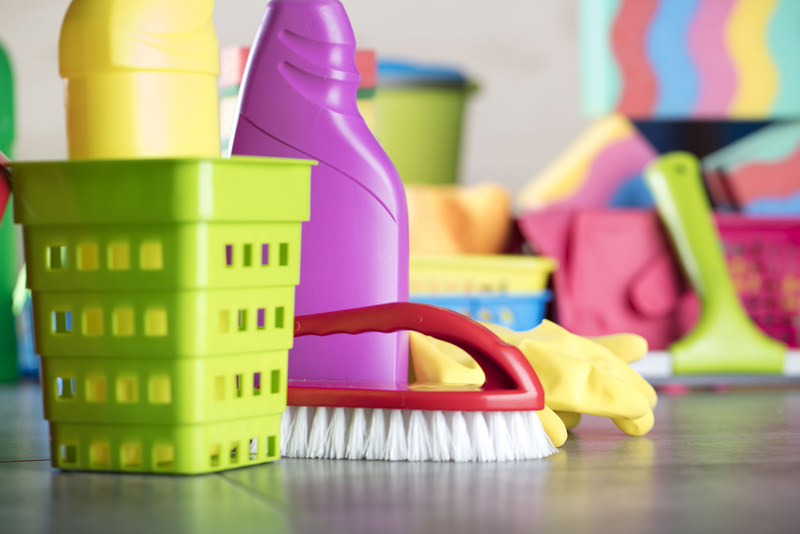 If you are unsure where to start on your spring cleaning project, don’t worry – Affordable Family Storage in Topeka is here to help. To get started, follow our spring cleaning tips below. If you are feeling overwhelmed with your spring cleaning project, start with the basics. At Affordable Family Storage, we recommend that you start out dusting and vacuuming your house, running dirty dishes through the dishwater, and wiping down countertops. Though you may do these things all the time, they are essential to any cleaning regime. To ensure your house is truly tidy, give extra attention to the areas you usually forget: dust the top of door frames, vacuum your couch cushions, and clean the top of baseboards. Spring cleaning is not necessarily something you can complete in one day. In fact, depending on the scope of your project, it may take a couple weekends. Taking it one room at a time is the easiest way to tackle a large-scale cleaning project. In the bedroom, wash your sheets, mattress pad, and comforter, and take the time to vacuum your mattress. In the bathroom, remove mildew and soap scum from drains, faucet heads, and shower heads. Lastly, in the kitchen, take the time to clean your burners and polish your appliances. Go through your fridge and pantry as well and throw out any old or expired food. At Affordable Family Storage, we know that spring cleaning is also an opportunity to declutter your home. This is your chance to get rid of items you barely use and put them into storage. Like your cleaning project, take your decluttering project one room at a time and carefully evaluate what you should keep and what you do not need. To complete your spring cleaning and decluttering project, look into renting a storage unit. Self-storage is ideal for those items that you don’t necessarily want taking up space in your home, but you want to keep for the future. This can include furniture you are saving for your children, Christmas decorations you only use once a year, and your winter clothing. If you are looking for an affordable, climate-controlled storage solution, contact Affordable Family Storage for more information. If you are looking for affordable, convenient storage solutions to complete your spring cleaning project, contact Affordable Family Storage in Topeka, Kansas. Located at 240 SE 29th St, we are a just short drive from Pauline, Watson, Tecumseh, Berryton, and other surrounding communities. To reserve your unit today, give us a call at (785)-329-0004!